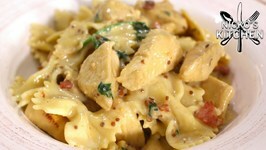 This recipe can be prepared up to 24 hours in advance and kept in the refrigerator until needed. 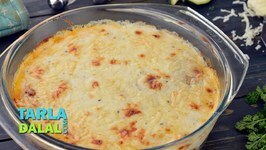 Zucchini and Eggplant lasagna is a great dish for entertaining. 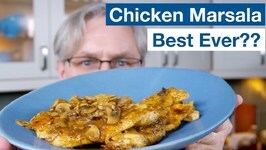 We've all had the bland, uninspiring Italian Chicken Marsala... You know the recipes without any flavour. How To Make Italian Meringue - Glen wants to show you one of the three types of whipped egg meringues that you should have in your culinary arsenal. 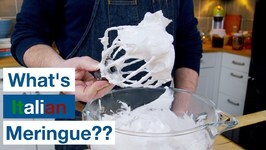 How To Make Chantilly Meringuée - which is just a fancy way of saying How to make a No Churn Italian Meringue Ice Cream. 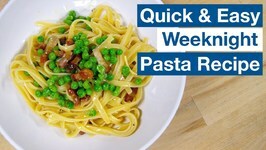 How To Make a Pasta With Bacon And Peas recipe... This is not a Pasta Carbonara recipe, but it's pretty close, and probably something that most of us have the ingredients for. 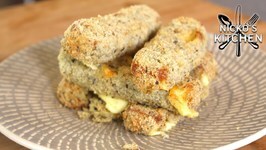 15 minute recipe that tastes amazing and is good for you! 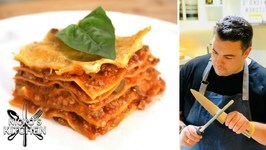 The Most Amazing Lasagna Recipe is the best recipe for homemade Italian style lasagna. 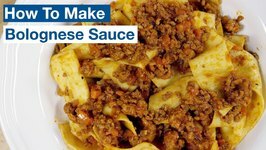 The balance between layers of cheese, pasta, and homemade Ragu is perfection! 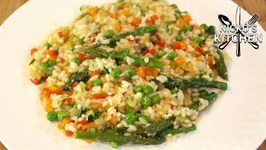 Learn how to make the perfect restaurant style Risotto on a budget. 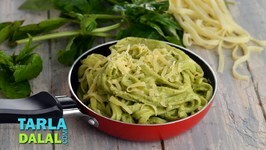 Pesto, as you know, is a famous Italian sauce that combines nuts, garlic and basil. 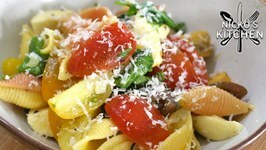 This particular recipe adds a new dimension to pesto by introducing coriander, onions .. 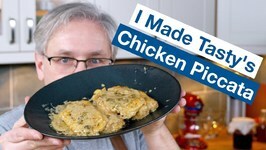 Throw away those pre-made jars and eat out at home on a budget! 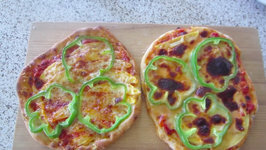 Tiny bite-sized pizzas any one? 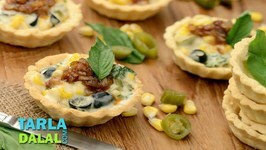 Well, that is what the Cheesy Corn Tarts with Caramelised Onions will seem like to you. 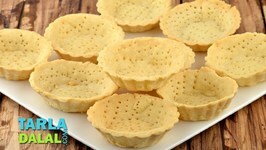 Cute and small, thick and crusty, tarts form a great base for desserts. They are usually made of flour, salt and butter, but ingredients like almonds might be added for a ..
How To Make Overnight Panettone... First things first. 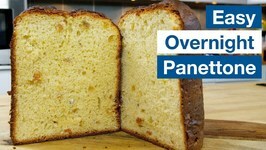 This is a simplified panettone recipe, making panettone can be very challenging, there are lot's of pitfalls. Today Vanessa and I made mango pizza from scratch. 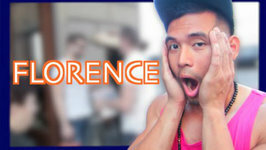 Watch the vlog where I first tried mango pizza here. 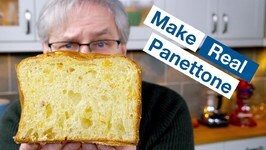 How To Make Panettone Naturally Leavened With Sourdough / Sweetdough - This is a fairly traditional Italian panettone Christmas bread recipe. 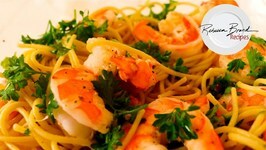 This recipe is easy, fast, and the Classic Italian Recipe for Aglio e Olio which is Garlic and Olive Oil Spaghetti Recipe with Garlic Shrimp on top. A creamy pasta that can make a satisfying one-bowl meal. 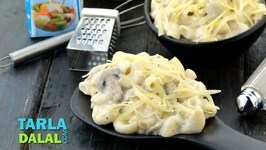 Macaroni pasta is cooked with mushroom and smooth, aromatic white sauce. 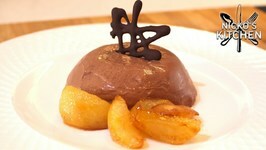 Italian recipes... so much passion. 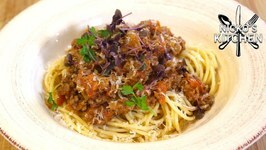 Here's our version of a bolognese sauce, use it on pasta, use it in lasagne, or just heat it up with some crusty bread.